Earrings made from recycled computer hard drive spindle rings, cat5 wire, beads and sea shells. The sea shells were brought back from the South Seas by my grandpa when he came back from WWII. A unique piece of wearable art. These earrings are fairly light weight. 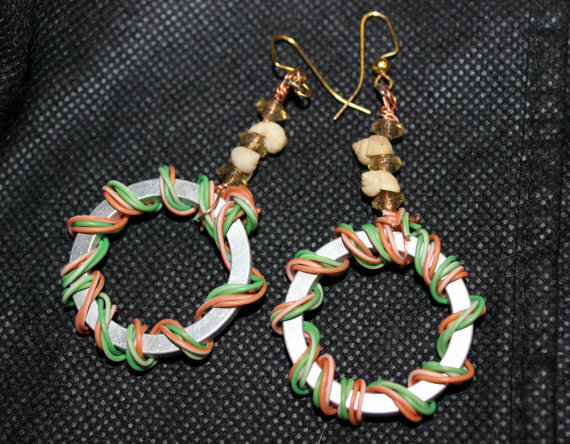 These earring are shown with ear wires. They can be converted to posts at no extra cost, just let me know when you order. PDD053 These can be prurchased for $15 thru Purple Ducky Designs on Etsy.